Pantomime location: gravel path beside wildlife pond, Day 25. 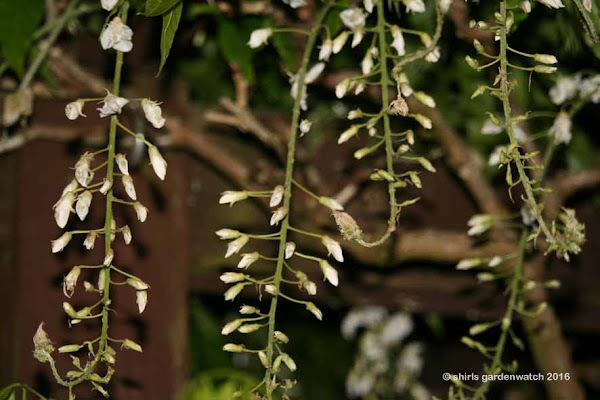 The main character (garden blogger) is standing below a flowering wisteria watching for moths and other insects to photograph. She patiently waits but alas no insect activity is seen. The star character (hedgehog) returns to the location previously spotted earlier in the evening. It is enticed back by a handful mix of dried mealworms, sultanas, sunflower hearts and crushed unsalted peanuts put out on the path and grass edge of the pond. A munching noise alerts the main character to turn round. Standing on a gravel path she cannot move her feet as the noise will scare the star character away. She stands very still. It’s a special moment for the main character, standing so close to this endangered species. Watching the star character for real is so much better than live on the feeding station IR camera, indoors at the PC. The main character is transfixed. A quiet move of the tripod allows the main character to take a handful of photos. 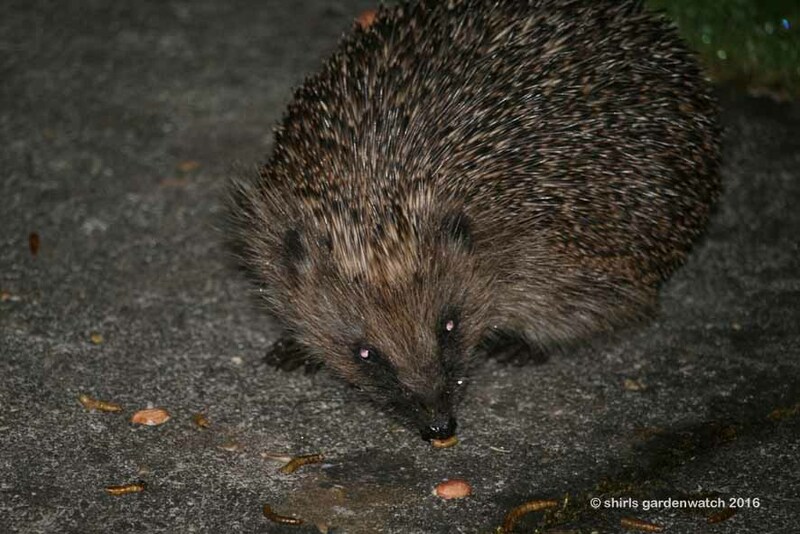 Using a zoom lens the flash doesn’t bother the star character who carries on feeding. The main character takes her hands away from the camera and just enjoys the moment. The voice of a background character (daughter indoors) is heard calling for the main character via a house window. 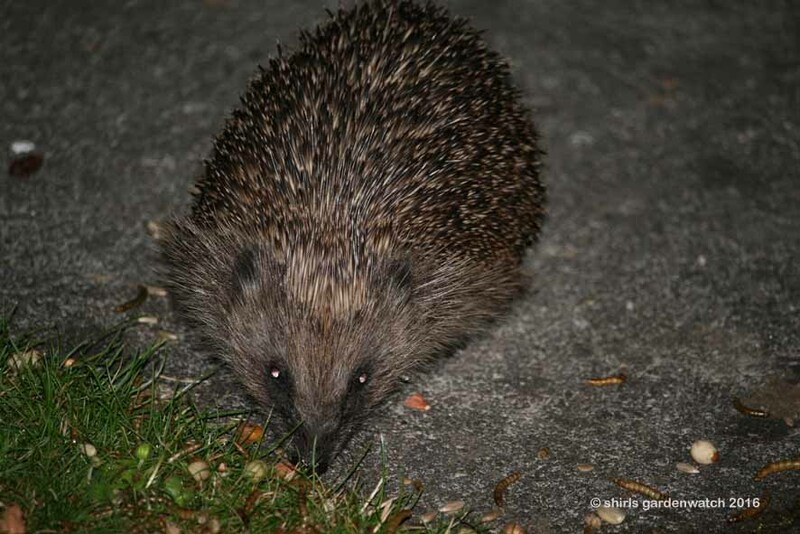 “There’s a hedgehog on the path!” she quietly exclaims. The main character walks on the gravel path to meet the background character… the star character goes back out into the night… the end. I could hardly breathe reading this. I can't imagine being this close to such a star. Lucky lady. 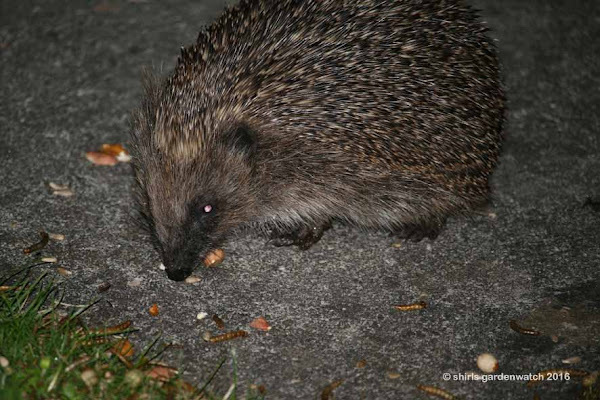 absolutely love my hedgehogs and have a family of them visit the garden every night. after the first time I witnessed them in the garden i was hooked and got to admit its the highlight of my week when i get a glimpse of them.